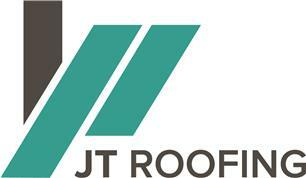 JT Roofing North East Limited - Builder, Roofer based in Newcastle upon Tyne, Tyne and Wear. At JT Roofing, we offer everything under one roof! We are a family run, Checkatrade approved company based in Newcastle Upon Tyne and covers the surrounding areas. We specialise in all aspects of roofing work from minor repairs and cracked tiles to complete new roofing, flat roofing, rubber roofing systems and much more. Whatever your requirements may be, we can help! We carry out work on all types of domestic and commercial projects. No job is ever too big or small for us and every job is always carried out from start to completion on every project. JT Roofing are local, reliable, punctual and loyal to customers. The amount your are quoted is the price you pay. We are fully qualified and insured for your peace of mind and ensure that the highest quality service is always provided so that every one of our customers is 100% satisfied with the finished result. And for extra peice of mind, all our work includes a full guarentee. Call today for experienced, honest and reliable advice and a no obligation quote! We also do all exterior paint work, windows, window-sills, all masonry etc.